This is not a "normal" crossword, but the clues are pretty normal, i.e. they're not cryptic-clues. The words you put into the boxes, though, aren't the answers to the clues, they're just related. Heretoforthwith, each Answer (hereinafter called The "A") that is derived from the Clues (hereinafter called the "C"s) will not be placed into the Boxes (hereinafter called the "B"s) provided by the Formulator (hereinafter called the "F") of said Crossword. The letters that are put into the "B"s will be relevant "A"s of the "C"s and the number of letters to be placed into each "B" is denoted in parentheses at the end of each "C" in the notation (##). I trust that this statement clears up any questions you may have. b) answer the "F"s answer to the Title Question. BTW, the word "The" will not go into any of the boxes. Taking the first letter of each answer LLAEOBRHTEESPPBYDUNLNRSSACPTGE and unscrambling it you get the hidden phrase "Sgt Pepper's Lonely Hearts Club Band"
19: "Johnny, your sheets smell terrible!" 2: Are you Coming with Me? 18: Correct: "Favorite" Correct: "Favourite"
"Come Sail Away". B: Styx. A: "Candle in the wind." B: Elton John. A: "Give it away now." Which would likely make B - Red Hot Chili Peppers. A: "Owner of a lonely heart". B: Yes. A: "Love hurts". B: Nazareth. A: "The Piano Man." B: Billy Joel. A: "Running Down the Drain". Which could be a common mishearing of "Running Down a Dream", so B: Tom Petty? A: "Come Sail Away". B: Styx. 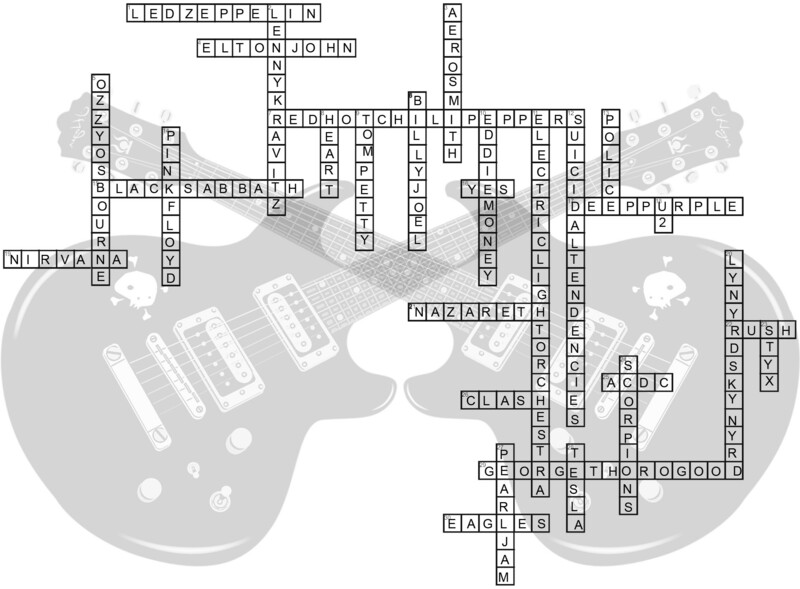 Sgt Pepper's Lonely Hearts Club Band which is an anagram of the first letters of all the bands in the crossword. Not the answer you're looking for? 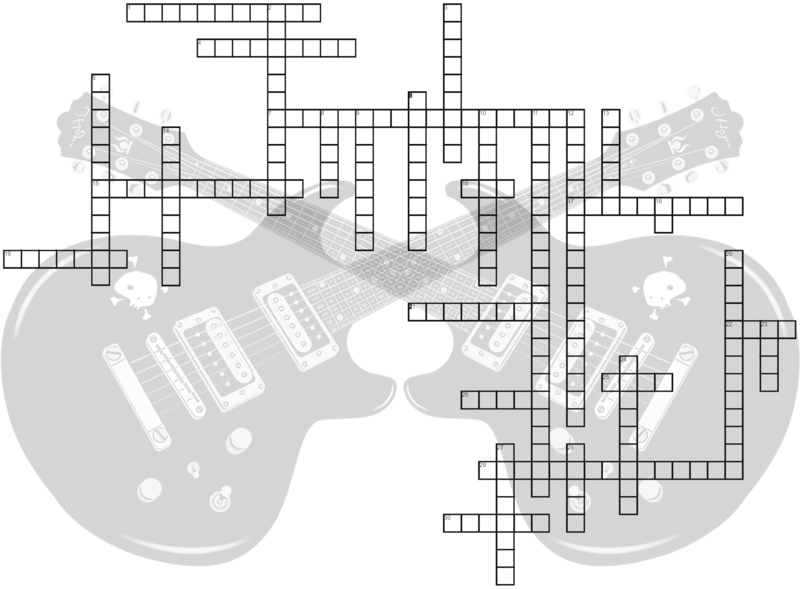 Browse other questions tagged trivia crosswords music or ask your own question.